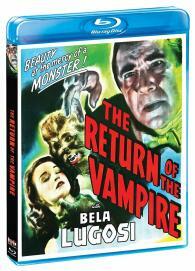 Bela Lugosi rises from the crypt in this blood-curdling horror classic! In 1918, Armand Tesla (Bela Lugosi), a 200-year-old Hungarian Vampire, prowls the English countryside, feeding from the jugulars of the villagers. But Tesla's reign of terror is interrupted when a pair of scientists, Lady Jane (Frieda Inescort) and Sir John Ainsley (Roland Varno), drive a railroad spike through his heart. The "un-dead" Tesla remains safely entombed for two decades until the impact from a stray Nazi bomb accidentally releases him. Along with his werewolf servant Andreas Obry (Matt Willis), the resurrected vampire now plots vengeance on the family that put a halt to his nocturnal feasting.